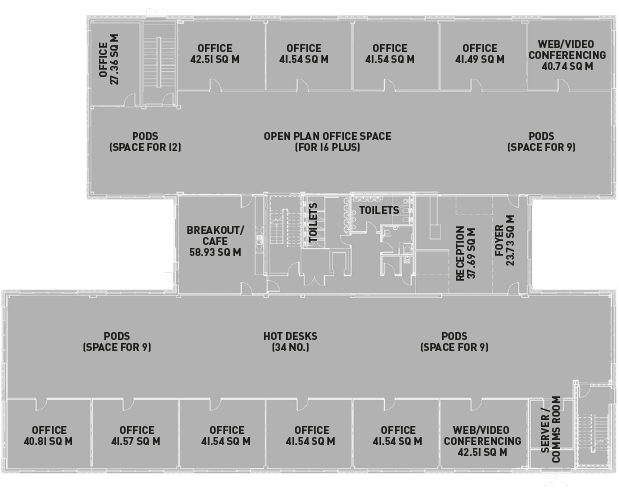 The ground floor provides collaborative office space, with a range of hot desking, micro pods and small office suites with breakout/cafe area. These options will allow start-ups and SMEs to work alongside each other in an innovative, supportive and vibrant environment. On site business support will be provided by a Business Advisor and University Advisor, with the latter providing connectivity to academia. Immediate occupancy and flexible terms are available to allow for future growth and expansion within Strawberry Fields. 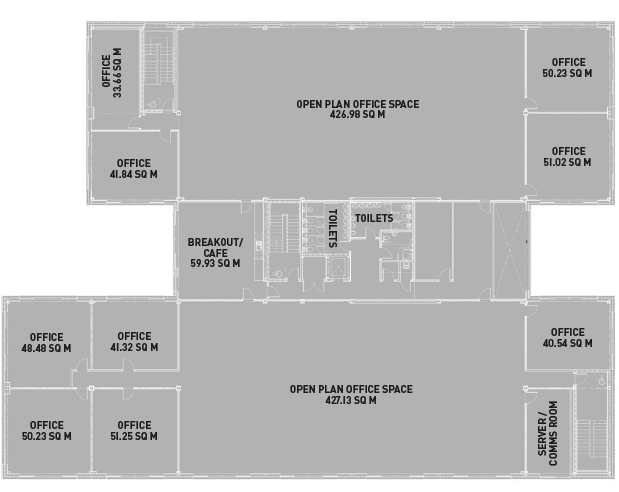 The first floor comprises small office suites for growing companies alongside open plan office space with breakout/cafe area. This is ideal for businesses wanting their own space, with the potential for future expansion within the building. 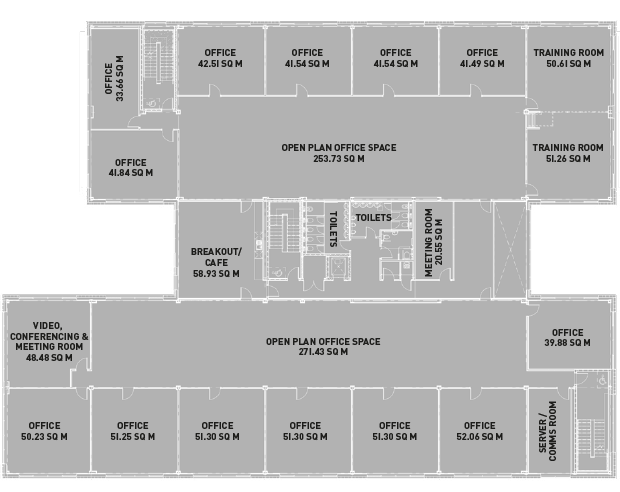 These small offices range in size from 2 to 20 staff and are available on flexible terms. 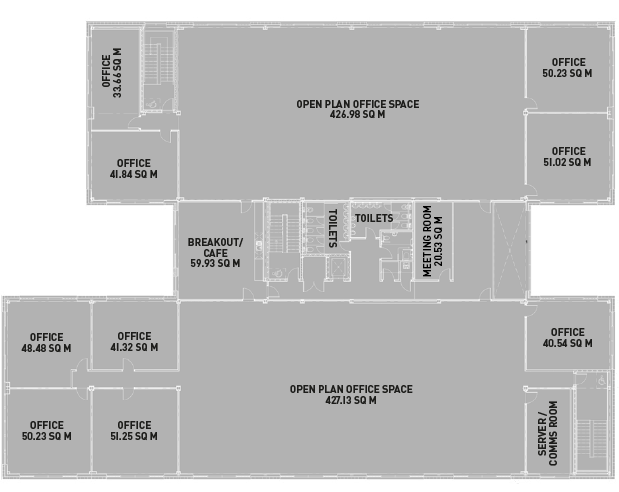 The second floor of Strawberry Fields provides two self-contained office suites of approximately 562 m2 (6050 ft2) and 618 m2 (6650 ft2) which could combine to form a single office of approximately 1180 m2 (12,700 ft2) with breakout/cafe area. Lease terms can be tailored to meet the tenant’s requirements with occupiers able to incorporate their own style of layout into the open plan space available. The break-out/kitchen and meeting rooms will be fitted out as part of the overall scheme.